This impeller is designed to use with Hayward SuperPump some pump SP2600X series models. This part must applies to specific models and Horsepowers. Weighs 3.4-Pound. 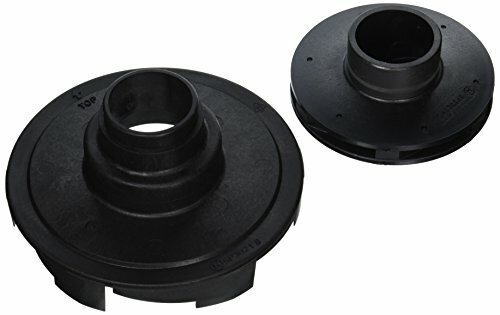 This impeller assembly is designed to use with Hayward NorthStar SP4000 pump series models SP4005(NS), SP4007(NS), SP4010(NS), SP4015(NS), SP4020(NS), SP4030(NS) and also compatible with Hayward NorthStar SP4000 pump series models SP4005(NS), SP4007(NS), SP4010(NS), SP4015(NS), SP4020(NS), SP4030(NS). Also fits Hayward EcoStar pump series models SP3400VSPVR, SP3400VSP and Hayward TriStar pump series models SP36075EE, SP3250EE. 1-1/2-Horsepower. Include ring and seal. Weighs 4-pound. 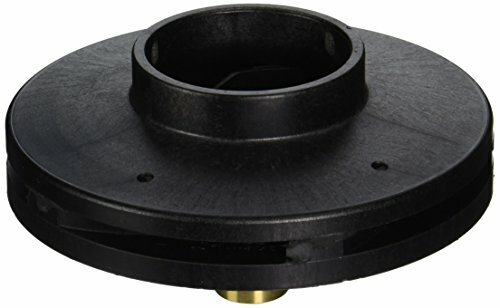 This impeller assembly is designed to use with Hayward NorthStar SP4000 pump series models SP4005(NS), SP4007(NS), SP4010(NS), SP4015(NS), SP4020(NS), SP4030(NS) and also compatible with Hayward NorthStar SP4000 pump series models SP4005(NS), SP4007(NS), SP4010(NS), SP4015(NS), SP4020(NS), SP4030(NS). Also fits Hayward EcoStar pump series models SP3400VSPVR, SP3400VSP and Hayward TriStar pump series models SP36075EE, SP3250EE. 2-Horsepower. Include ring and seal. Weighs 4-pound. 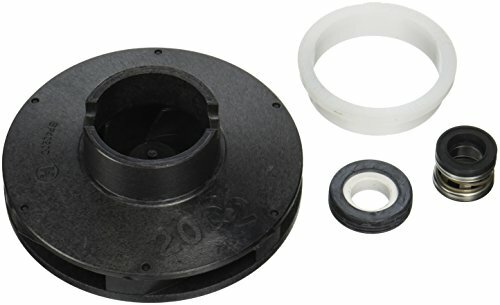 This impeller upgrade kit is designed to use with Hayward Super II pump series SP3000 and SP3000X models SP3007(EEAZ), SP3010(EEAZ), SP3015(EEAZ), SP3020(EEAZ), SP3025(EEAZ), SP3030(EEAZ), SP3005X7(AZ), SP3007X10(AZ), SP3010X15(AZ), SP3015X20(AZ), SP3020X25(AZ), SP3025X30(AZ). Weighs 11.1-pound. 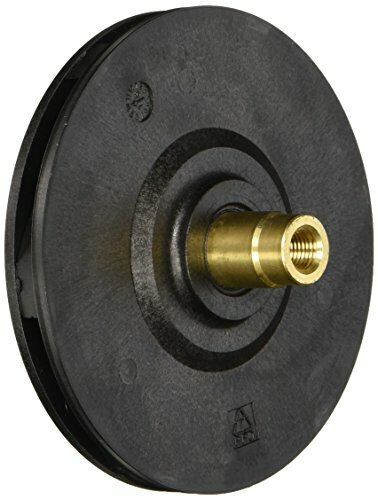 This impeller assembly is designed to use with Hayward NorthStar SP4000 pump series models SP4005(NS), SP4007(NS), SP4010(NS), SP4015(NS), SP4020(NS), SP4030(NS) and also compatible with Hayward NorthStar SP4000 pump series models SP4005(NS), SP4007(NS), SP4010(NS), SP4015(NS), SP4020(NS), SP4030(NS). Also fits Hayward EcoStar pump series models SP3400VSPVR, SP3400VSP and Hayward TriStar pump series models SP36075EE, SP3250EE. 3-Horsepower. Include ring and seal. Weighs 4-pound. 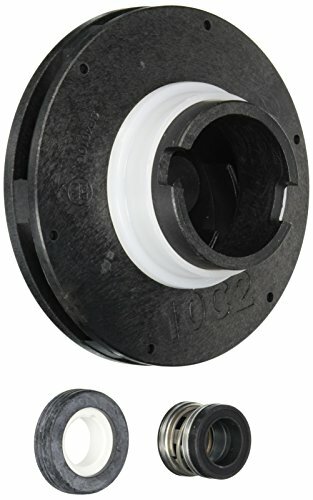 This impeller is designed to use with Hayward Super II pump models SP3000 and SP3000X series models SP3007(EEAZ), SP3010(EEAZ), SP3015(EEAZ), SP3020(EEAZ), SP3025(EEAZ), SP3030(EEAZ), SP3005X7(AZ), SP3007X10(AZ), SP3010X15(AZ), SP3015X20(AZ), SP3020X25(AZ), SP3025X30(AZ). 1-Horsepower. Weighs 10-pound. This impeller is designed to use with Hayward Pumps models Super II SP3000 pump series models SP3007(EEAZ), SP3010(EEAZ), SP3015(EEAZ), SP3020(EEAZ), SP3025(EEAZ), SP3030(EEAZ), Super II SP3000X pump series models SP3005X7(AZ), SP3007X10(AZ), SP3010X15(AZ), SP3015X20(AZ), SP3020X25(AZ), SP3025X30(AZ), Super Pump SP2600X pump series models SP2600X5, SP2605X7, SP2607X10, SP2610X15, SP2615X20, SP2621X25 and also compatible with Hayward Max-Flo models SP2800X pump series models SP2800X5, SP2805X7, SP2807X10, SP2810X15, SP2815X20 . Weighs 7.5-Pound. This impeller is designed to use with Hayward Super II pump models SP3000 and SP3000X series models SP3007(EEAZ), SP3010(EEAZ), SP3015(EEAZ), SP3020(EEAZ), SP3025(EEAZ), SP3030(EEAZ), SP3005X7(AZ), SP3007X10(AZ), SP3010X15(AZ), SP3015X20(AZ), SP3020X25(AZ), SP3025X30(AZ). 2-1/2-horsepower. Weighs 10.2-pound. 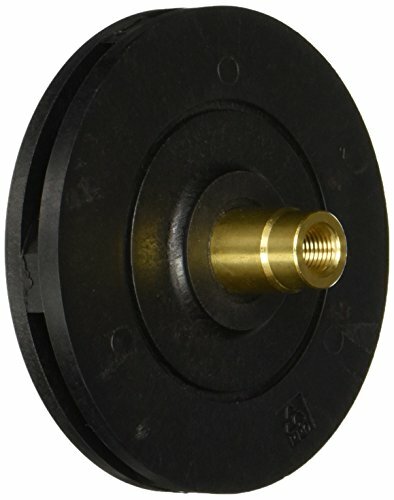 This impeller assembly is designed to use with Hayward NorthStar SP4000 pump series models SP4005(NS), SP4007(NS), SP4010(NS), SP4015(NS), SP4020(NS), SP4030(NS) and also compatible with Hayward NorthStar SP4000 pump series models SP4005(NS), SP4007(NS), SP4010(NS), SP4015(NS), SP4020(NS), SP4030(NS). Also fits Hayward EcoStar pump series models SP3400VSPVR, SP3400VSP and Hayward TriStar pump series models SP36075EE, SP3250EE. 1-Horsepower. Include ring and seal. Weighs 3-pound. 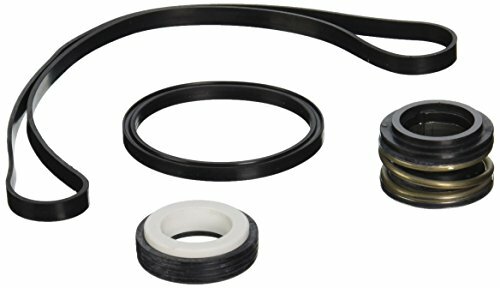 Hayward Northstar Impeller & Seal Kit for 1.5 HP Max Rated Pumps or 1 HP Full Rated # SPX4010CKIT Includes: Impeller, Impeller Ring and Shaft Seal Assembly. 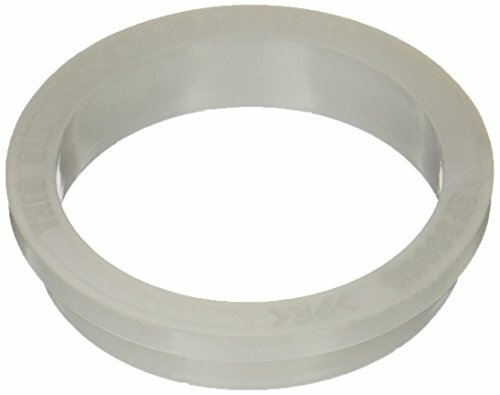 This impeller ring is designed to use with Hayward Super II pump models SP3000 and SP3000X series models SP3007(EEAZ), SP3010(EEAZ), SP3015(EEAZ), SP3020(EEAZ), SP3025(EEAZ), SP3030(EEAZ), SP3005X7(AZ), SP3007X10(AZ), SP3010X15(AZ), SP3015X20(AZ), SP3020X25(AZ), SP3025X30(AZ). 3/4 through; 2, 2-1/2 and 3-horsepower. Weighs 1.6-pound. 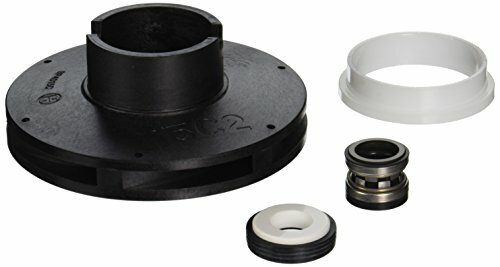 Hayward quick pump repair replacement kit is designed to use with Hayward Super II energy efficient, full-rated SP3000 pump series models SP3007(EEAZ) (EECA), SP3010(EEAZ), SP3015(EEAZ), SP3020(EEAZ), SP3025(EEAZ) and SP3030(EEAZ). Kit includes strainer cover O-ring, housing gasket, seal assembly, diffuser gasket and Jack's lube. This is ideal for in ground pools and spas of all types. 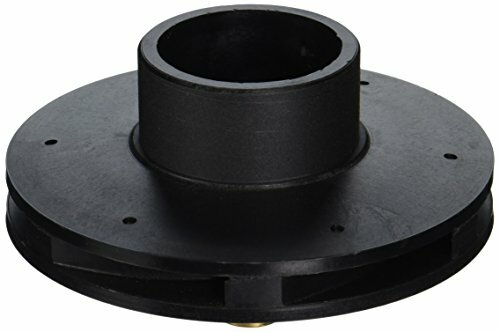 This impeller assembly is designed to use with Hayward NorthStar SP4000 pump series models SP4005(NS), SP4007(NS), SP4010(NS), SP4015(NS), SP4020(NS), SP4030(NS) and also compatible with Hayward NorthStar SP4000 pump series models SP4005(NS), SP4007(NS), SP4010(NS), SP4015(NS), SP4020(NS), SP4030(NS). Also fits Hayward EcoStar pump series models SP3400VSPVR, SP3400VSP and Hayward TriStar pump series models SP36075EE, SP3250EE. 2-Horsepower. Include ring and seal. At Hayward®, we're more than just equipment. Our objective is to make your pool experience worry and hassle free. That's why our equipment is engineered to last and work smart at keeping your pool sparkling clean and trouble free. Whether you are trying to create the perfect backyard environment, reduce operating and maintenance costs through the ease of wireless controls, Hayward is your single source solution. Our products include a complete line of technologically advanced pumps, filters, heaters, heat pumps, automatic pool cleaners, lighting, controls and salt chlorine generators—high quality components engineered to work together to keep your pool at its best. Keep your pool sparkling clean all season long with this Hayward Pool Skimmer. It offers a heavy-duty US resistant ABS construction,, top and front basket access and quick disconnect pipe connection. This pool skimmer by Hayward has 1 1/2-inch female straight pipe threads and a snap-in, removable weir. Hayward automatic skimmers have been an industry standard for more than 30 years. This Hayward Pool Skimmer has been redesigned to match the needs of today’s above ground pools, while remaining applicable for use on existing pool models. The Hayward SP1091LX Dyna-Ski Pool Skimmer comes with all the accessories needed to install. 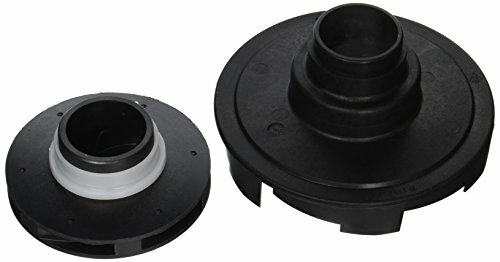 Factory Replacement Parts that Fit! 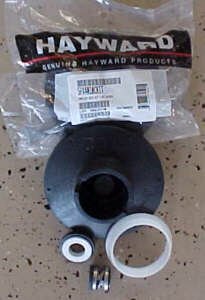 The Hayward Strainer Cover Replacement Kit is specifically designed for the Northstar(TM) SP4000 and SP4000X Pump series. This kit includes the Black lock ring, transparent see-thru strainer cover, and O-ring. Always reach for genuine Hayward replacement parts for your Hayward pool pump. For over 80 years, we've been helping pool owners enjoy the pleasures of pool ownership by manufacturing cutting edge, technologically advanced pool equipment worldwide. We strive to ensure that your Totally Hayward™ System operates at maximum efficiency all season long. Our goal is that at the end of the day, your only concern is to turn your equipment on and off. Whether you are trying to create the perfect backyard environment, reduce operating and maintenance costs through the ease of wireless controls, Hayward is your single source solution. Our products include a complete line of technologically advanced pumps, filters, heaters, heat pumps, automatic pool cleaners, lighting, controls and salt chlorine generators—high quality components engineered to work together to keep your pool at its best.Hayward automatic skimmers have been an industry standard for more than 30 years. The *Hayward SP1091LX* Dyna Skim skimmers have been redesigned to match the needs of today’s above ground pools, while remaining applicable for use on existing pool models. The *Hayward SP1091LX* Dyna Ski Pool Skimmer comes with all the accessories needed to install. 28679EGKeep your above ground pool water clean, fresh, and sparkling with the Intex Krystal Clear Sand Filter Pump & Saltwater System. The all natural sand provides excellent water filtration as the 6 function control valve allows the pool owner to: filter, backwash and rinse, recirculate, drain, and close the system. The built in 24 hour timer adds to the hassle free experience with maintaining a cleaner pool.The Krystal Clear Sand Filter Pump generates a pump flow rate of 2,650 gallons per hour, ideal for above ground pools. Equipped with the Ground Fault Circuit Interrupter, which is an added safety feature that shuts off the pump if electrical current is exposed to water. This economical and environmentally friendly pump requires virtually no maintenance except replacement of sand every 5 years.With the Saltwater System’s electroatalytic oxidation process, water molecules are split into highly powerful oxidants which destroy organic contaminants. The amount of natural chlorine generated by the saltwater system is reduced by approximately 60%, much less than other saltwater systems generate. The Saltwater System generates a pump flow rate of 2,650 gph and a system flow rate of 2,150 gph. The result is soft, fresh, clean water without the potential harsh side effects of packaged pool chemicals. Use with a maximum pool size of 15,000 gallons.SP1091LXKeep your pool sparkling clean all season long with this **Hayward Pool Skimmer**. It offers a heavy-duty US resistant ABS construction,, top and front basket access and quick disconnect pipe connection. This pool skimmer by Hayward has 1 1/2-inch female straight pipe threads and a snap-in, removable weir.One piece body constructionLarge debris collection basketCompatible with wide top seat pools Hayward automatic skimmers have been an industry standard for more than 30 years. This **Hayward Pool Skimmer** has been redesigned to match the needs of today’s above ground pools, while remaining applicable for use on existing pool models. The Hayward SP1091LX Dyna-Ski Pool Skimmer comes with all the accessories needed to install.We are an authorized Hayward dealer! Keep your pool sparkling clean all season long with this **Hayward Pool Skimmer**. It offers a heavy-duty US resistant ABS construction,, top and front basket access and quick disconnect pipe connection. This pool skimmer by Hayward has 1 1/2-inch female straight pipe threads and a snap-in, removable weir.One piece body constructionLarge debris collection basketCompatible with wide top seat pools Hayward automatic skimmers have been an industry standard for more than 30 years. This **Hayward Pool Skimmer** has been redesigned to match the needs of today’s above ground pools, while remaining applicable for use on existing pool models. 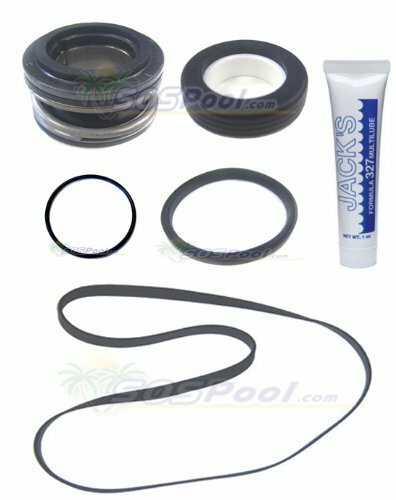 The Hayward SP1091LX Dyna-Ski Pool Skimmer comes with all the accessories needed to install.We are an authorized Hayward dealer!Hayward offers a wide variety of replacement parts and white goods that provide years of long lasting performance. Genuine Hayward Replacement Parts are made of quality materials that are built to last and provide the performance to meet every customer's high standards.This Hayward Econoline 2 Way ball valve is designed for maximum flow efficiencies with pressure ratings up to 50 PSI.At Hayward®, we're more than just equipment. Our objective is to make your pool experience worry and hassle free. That's why our equipment is engineered to last and work smart at keeping your pool sparkling clean and trouble free. Whether you are trying to create the perfect backyard environment, reduce operating and maintenance costs through the ease of wireless controls, Hayward is your single source solution. Our products include a complete line of technologically advanced pumps, filters, heaters, heat pumps, automatic pool cleaners, lighting, controls and salt chlorine generators—high quality components engineered to work together to keep your pool at its best. 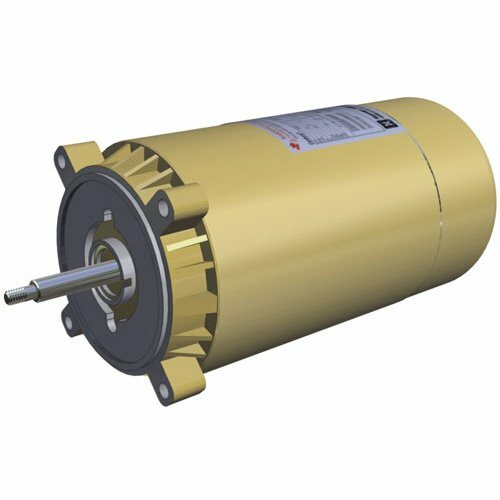 This impeller is designed to use with Pumps models Super II SP3000 pump series models SP3007(EEAZ), SP3010(EEAZ), SP3015(EEAZ), SP3020(EEAZ), SP3025(EEAZ), SP3030(EEAZ), Super II SP3000X pump series models SP3005X7(AZ), SP3007X10(AZ), SP3010X15(AZ), SP3015X20(AZ), SP3020X25(AZ), SP3025X30(AZ), Super Pump SP2600X pump series models SP2600X5, SP2605X7, SP2607X10, SP2610X15, SP2615X20, SP2621X25 and also compatible with Max-Flo models SP2800X pump series models SP2800X5, SP2805X7, SP2807X10, SP2810X15, SP2815X20 . Weighs 7.5-Pound.